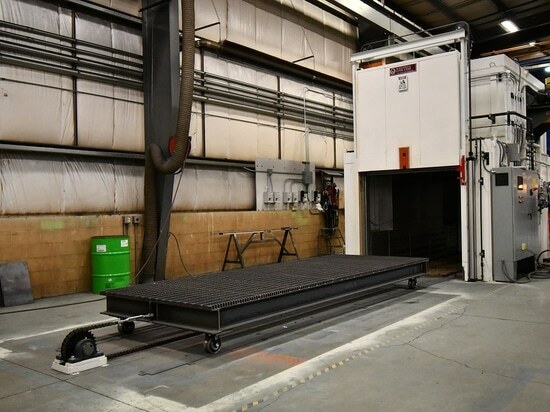 A natural-gas-fired walk-in oven will be used by a transportation technology company to heat treat baskets of aluminum parts. The oven, designed and manufactured by Wisconsin Oven Corp., has a maximum temperature rating of 600°F (315°C). It has sufficient capacity to heat 1,312 lb (5,952 kg) of aluminum from 70°F (21°C) to 482°F (250°C) within 120 minutes when loaded into an ambient oven. 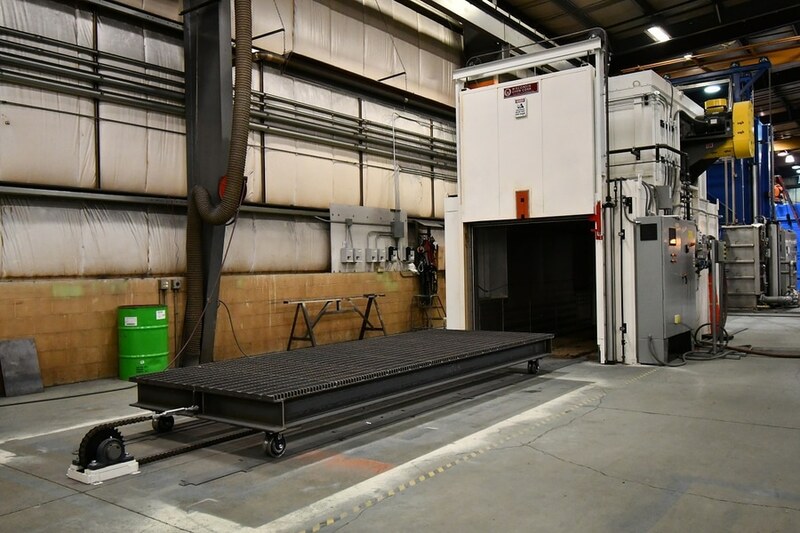 The enhanced duty industrial oven is designed with a vertical lift, pneumatically operated door and a 12-gauge aluminized floor. A powered load car rated at 13,125 pounds will be used to load and unload the oven. The body is constructed with industrial board-type insulation with a 1200°F service temperature rating.